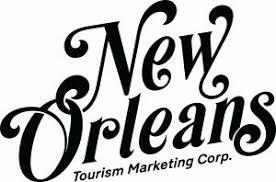 New Orleans Tourism Marketing Corporation (NOTMC) serves as the City of New Orleans&apos; leisure travel promotion agency. NOTMC is a private economic development corporation created under Louisiana State Law to foster jobs and economic growth by developing the tourism industry in New Orleans. 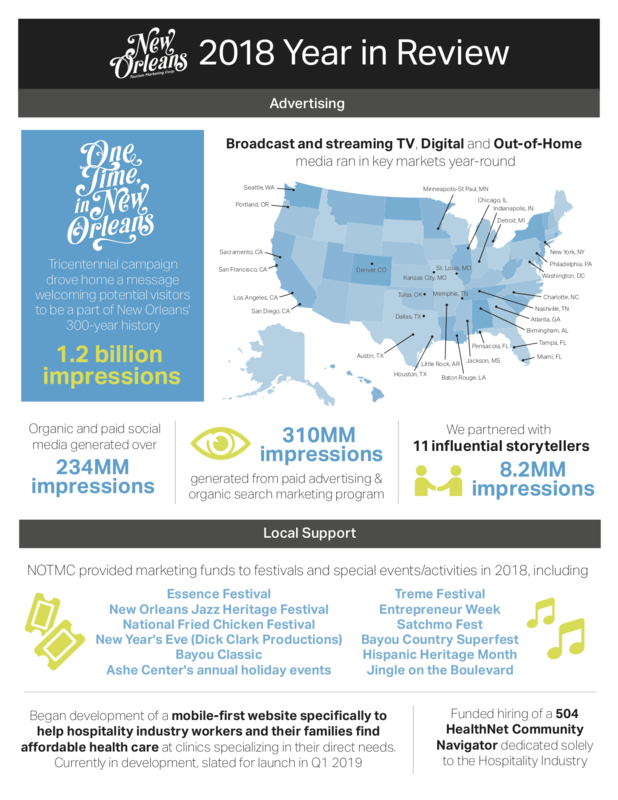 The mission of the New Orleans Tourism Marketing Corporation is to promote and position New Orleans as the number one leisure tourism destination through a broad program of advertising, public relations, social media, Internet marketing, promotions, research, and other marketing strategies. 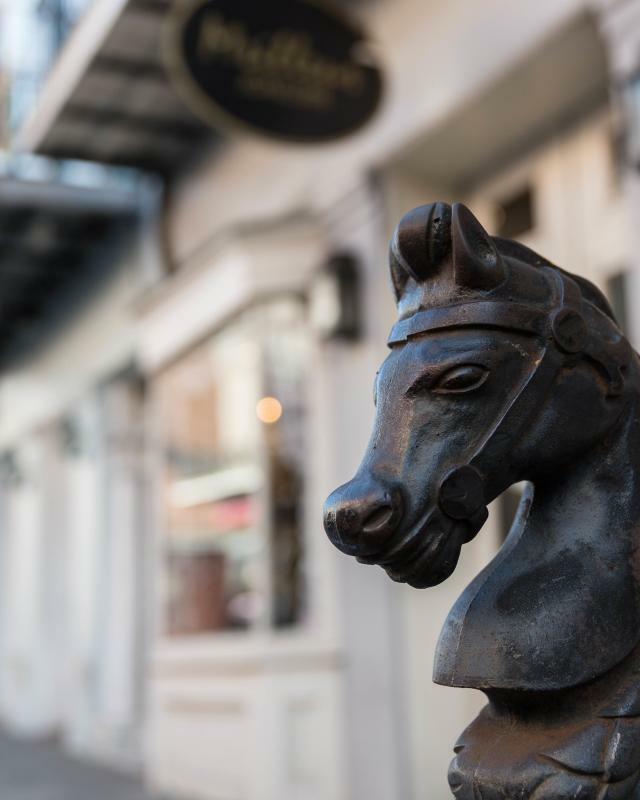 These strategies are designed to maintain and improve the city's image as a great place to visit, to attract increased numbers of travelers, and to increase tourist spending in New Orleans. 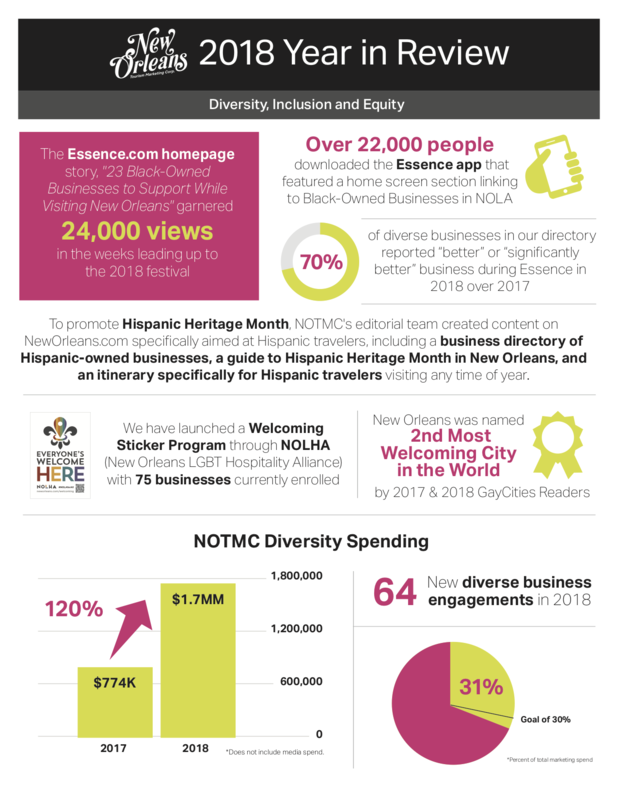 NOTMC was first developed in the early 1990s to boost hotel occupancy during slow tourism periods, which have traditionally included the summer months and the weeks between Thanksgiving and New Year's Day. However, due to the effects of Hurricane Katrina, the Deepwater Horizon oil spill and other natural and man-made challenges, NOTMC is now tasked with promoting leisure tourism throughout the year. 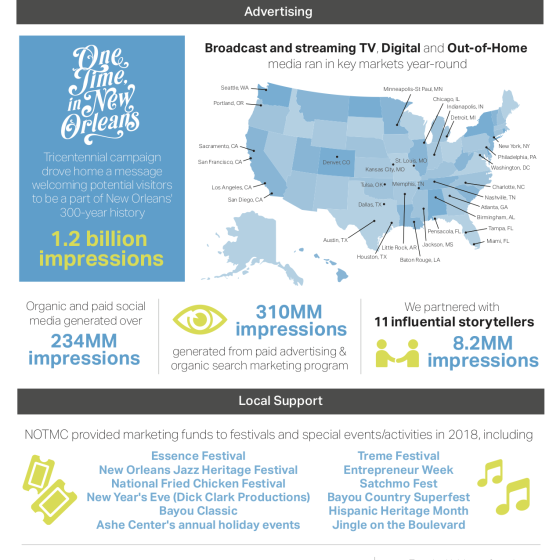 NOTMC designs and launches a year-round marketing campaign, a major summer promotion; niche efforts aimed at cultural, family, and multicultural travelers; and a fall campaign promoting Christmas New Orleans Style. In addition, NOTMC produces the New Orleans Official Visitors Guide with New Orleans & Company and assists French Quarter Festivals, Inc. with production of the Christmas New Orleans Style Guide. NOTMC also partners with New Orleans & Company to produce and manage NewOrleans.com, the City's official tourism website, and we publish GoNOLA.com - a New Orleans travel blog that also includes twice-monthly video updates. We also help support the marketing and promotion of various special events and festivals. 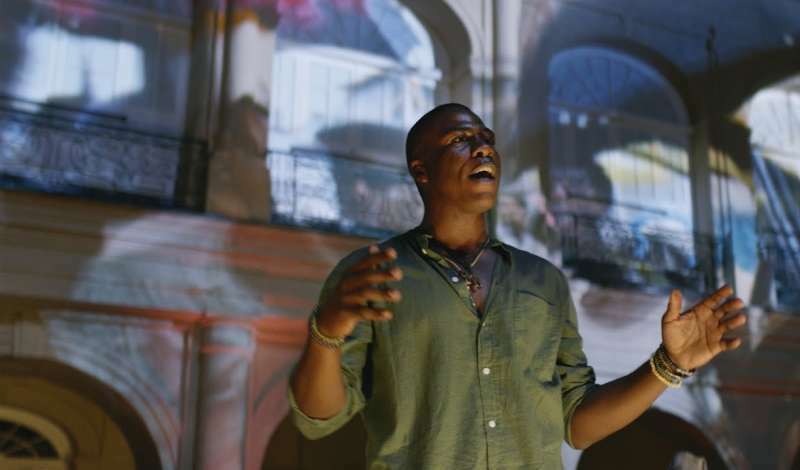 For 300 years, folks have left New Orleans with some of the greatest stories ever told. Watch Lloyd Dillon and Johnny Vidacovich tell some of NOLA's favorites, including the founding of the city, Higgins boats, Steve Gleason’s punt block, and more. Visit New Orleans and start your own story with #OneTimeInNOLA. NOTMC is funded by the City's hotel room occupancy privilege tax and an Optional Assessment agreed to by hotels in the downtown area. NOTMC does not receive any funds directly from the City of New Orleans' general fund. The organization receives additional funding from the RTA/hotel tax and from Harrah's Casino's agreements with the City of New Orleans and the hotel industry. 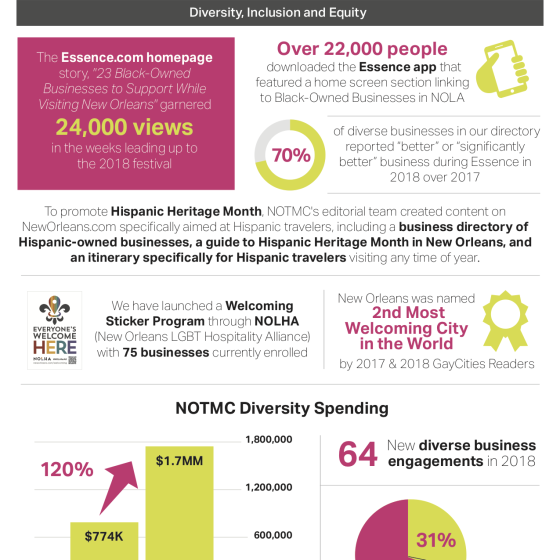 While the majority of NOTMC's budget is allocated to marketing New Orleans, in accordance with a council ordinance, NOTMC also funds entities that include the Ernest N. Morial Convention Center, New Orleans & Company, the New Orleans Multicultural Tourism Network, the Mayor's Office of Film & Video, the Mayor's Office of Music Business Development, and the Mayor's Office of Tourism & Arts. Administration accounts for less than five percent of the budget. Each member of NOTMC's Board of Directors is nominated by the hospitality industry, appointed by the Mayor and approved by the City Council. NOTMC Board meetings are typically held six times per year at 3 pm on the third Tuesday of January, March, May, August, September, and November at various locations throughout the City of New Orleans. Board meeting notices are posted to the City of New Orleans website, NOLA.gov at least 24 hours prior to each meeting. Regional President, South Region, Caesar's Entertainment Corp.